Along with the rest of the world, Assam State AIDS Control Society (ASACS) and Assam State Blood Transfusion Council (ASBTC) observed World Blood Donor Day at Madhavdeva International Auditorium of Srimanta Shankar Dev Kalakshetra in Guwahati on Thursday. He further stated there is an urgent need to carry this movement forward by every individual, community and the society. He further stated that in every blood donation camp held at district level, an official from the district administration must be present. He further requested the authorities to increase the money for organizing voluntary blood donation camps. He also suggested inclusion of representatives from donor organizations in ASBTC. He further advocated that pre-marital counselling could bring down the anaemic problems due to genetic disorders which happened in some foreign countries. NHM Executive Director, Dr AC Baishya in his speech said that the only awareness to increase voluntary blood donation is mass awareness. Lt Col of CRPF Ravinder Kumar in his speech saluted the donors and said that a person who donates blood becomes an inspiration for others. 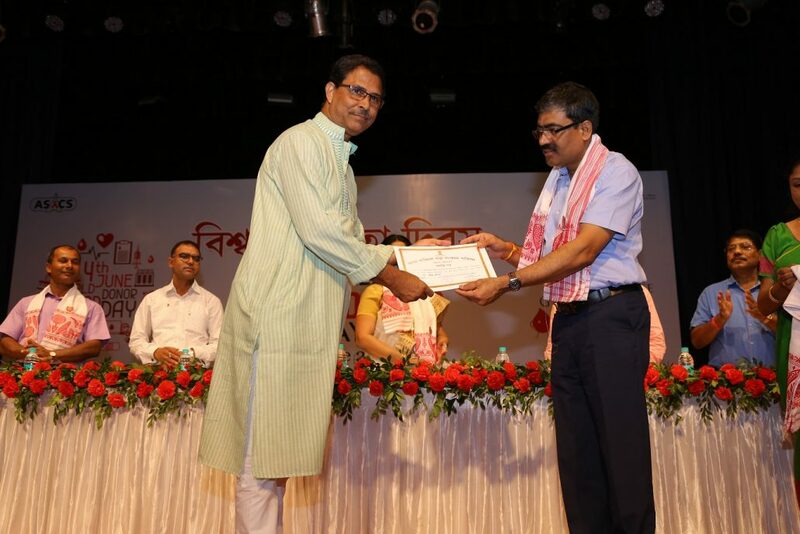 Earlier, In-charge Blood Transfusion Services, Assam State AIDS Control Society, F A Alom Choudhury welcomed the participants and stressed on the significance of the day and gave a overall view of the blood donation in the state. 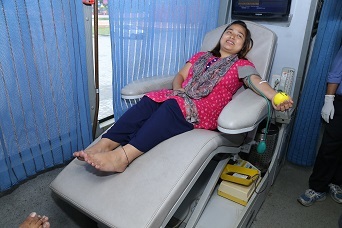 A total of 22 voluntary blood donors were feted during the event. A blood donation camp was also organized at the venue.